WASHINGTON-NETWORK, a National Catholic Social Justice Lobby, which educates, organizes, and lobbies for economic and social transformation, has announced its fourth national “Nuns on the Bus” tour themed, “Bridge the Divides: Transform Politics.” The tour is a response to Pope Francis’s message in his recent encyclical (Laudato Si’) to transform our politics and economy by caring for those on the margins and prioritizing the common good. The 13-day, seven-state tour will kick off in St. Louis, Missouri on Sept. 10 and end in Washington, D.C. on Sept. 22, where Pope Francis will be received by President Obama and Congress. 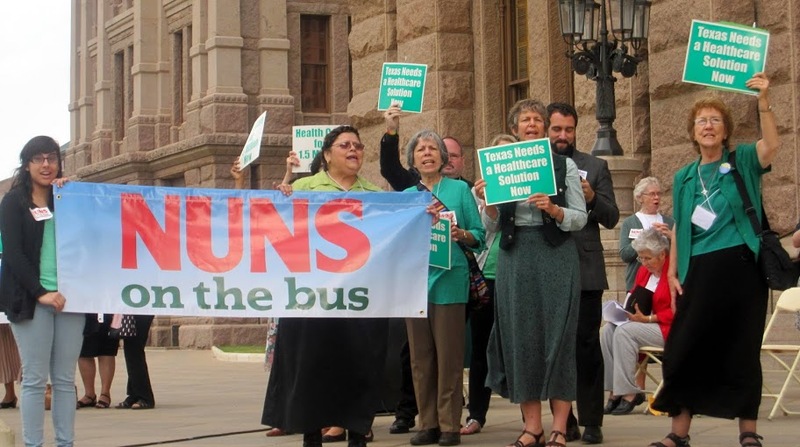 PC Texas members join with the Nuns on the Bus. The more than 2,000-mile bus trip will include 33 events such as town hall meetings, visits to shelters, transitional housing facilities, schools, food pantries, parishes, congregations, and ministries working with returning citizens, in Missouri, Kansas, Arkansas, Tennessee, Indiana, Ohio, and West Virginia. By listening, encountering, and walking with people across the U.S., NETWORK will amplify their concerns and will call on Congress to do the same. 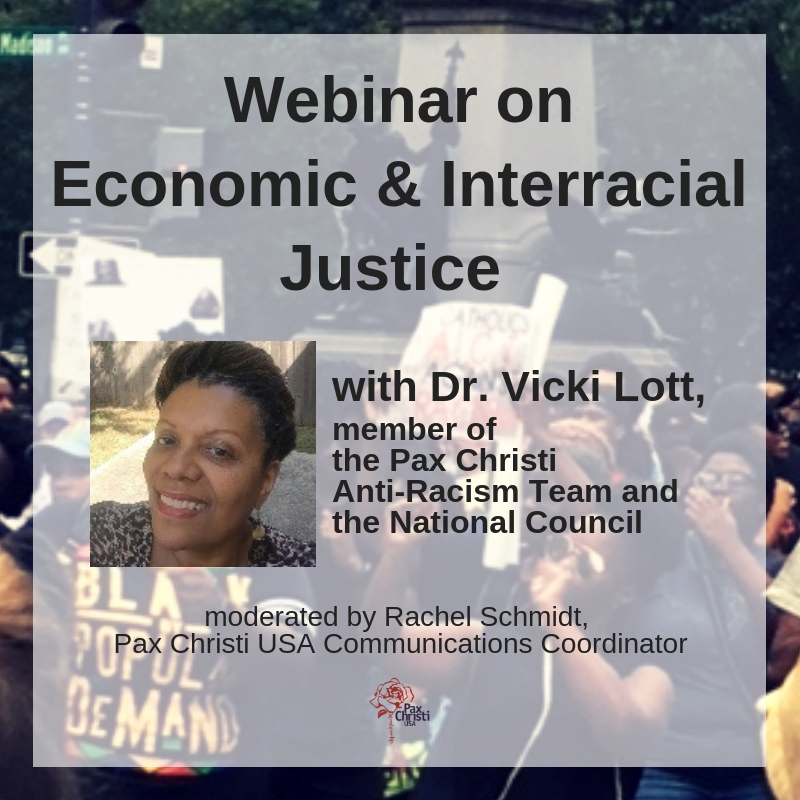 “We look forward to meeting and learning alongside people in these communities and returning to Washington to advocate for a faithful budget that responds to their needs,” said Sister Simone. Sister Simone will also attend Pope Francis’s address to the joint session of Congress on Sept. 24, as Sen. Barbara Boxer’s guest. For a full schedule of the tour, visit: www.nunsonthebus.org. All of the nuns on the bus will be available throughout the trip to meet with press.